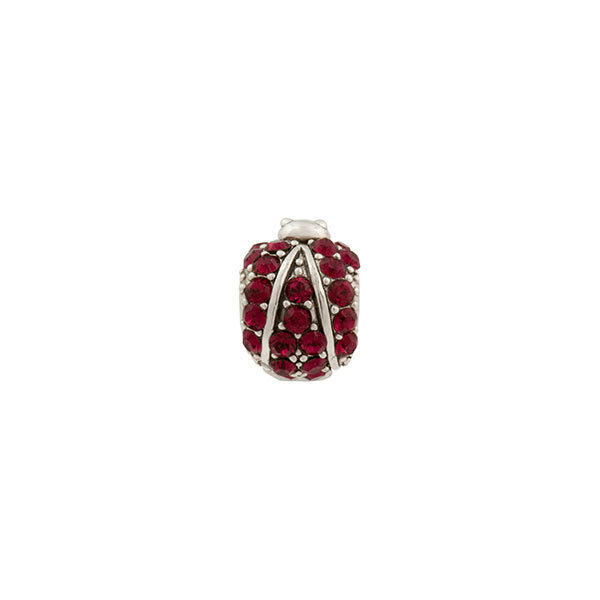 This little Cocinella features wings of red crystals and a sterling silver body with an oxidized finish. Approximately 9mm wide and 12mm tall with a threaded core. Cocinella is Italian for LadyBug.